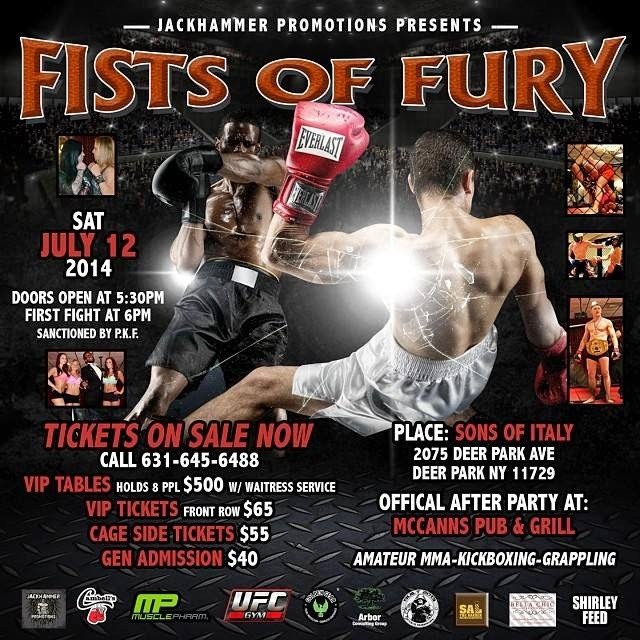 I love checking out fight shows at different venues, and Fists of Fury - which is based out of Long Island - has completely got the "amateur MMA show in a catering hall" market cornered. From the chandeliers, to the carpeted floors, to the retirees operating the concession stand doling out food they just made with the care only a retiree can muster, FOF has got it all.Don't believe me? Then check out this highlight video and draw your own conclusions.